I found this video on YouTube. It’s a slideshow of photographs from The Ritz. I was starting to get worried because there were no pictures of me, even though I had been there that night. I know this because there are pictures of a lip sync for Killing An Arab and I remember seeing that performance. It was when Dawni was in Chicago, nannying for a family and I had to go to The Ritz alone. Fortunately, I found a couple of photos of myself in the mix. At the 4:51 minute mark, you can see me. God, I loved that outfit! I wore that long, black skirt until it fell apart, then I mended the seams by hand and wore it for years after that. I used to love to wear it on windy days and feel the air play with the fabric around my legs. 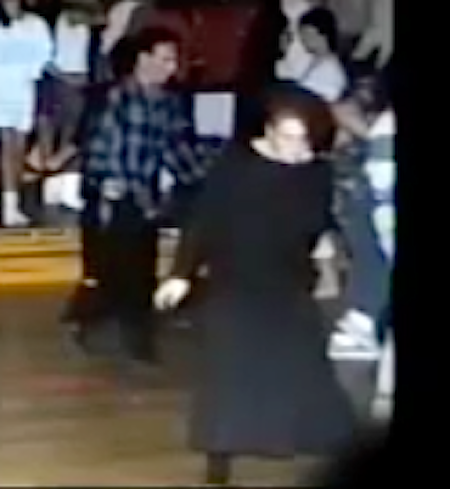 Why don’t I have a long black skirt like that anymore? 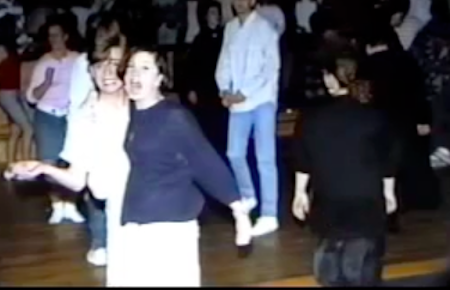 It looks like my hair and I had a black, denim skirt that I wore quite often at The Ritz (same sweater, if you notice), so I’m pretty sure it’s me. Of course, here is the missing piece in my love for the artwork of Syd Brak at the 6:08 minute mark. The walls of The Ritz were literally plastered with his work. The posters on the left and right are ones that I do not currently own. I don’t even know what they were named, so I feel as if I’m on a quest to find out their origins. 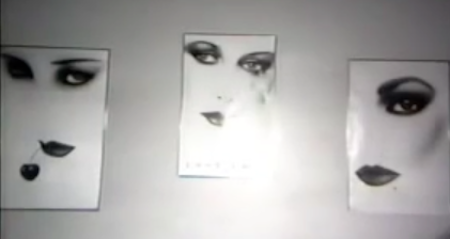 They look like Syd Brak’s work, so I’m assuming they are his, but who knows. He did have many imitators. Watching that video was a lovely glimpse into my past. It was nice visiting, but I would never want to go back to that time of my life. Things are so much better now than when I was 19 years old. I read this article this morning and it kind of peeved me off. Today’s article decided that the lack of tiny house communities wasn’t the fault of city planners. It was greedy land developers. When given a choice between building tiny houses and selling them to hippies and renting them to the rich, they choose the vacation property choice every time. Greed… That’s why there are no tiny home communities? Umm… no. No tiny house communities? Not even in the mecca of tiny homes, Portland, Oregon? Not so! 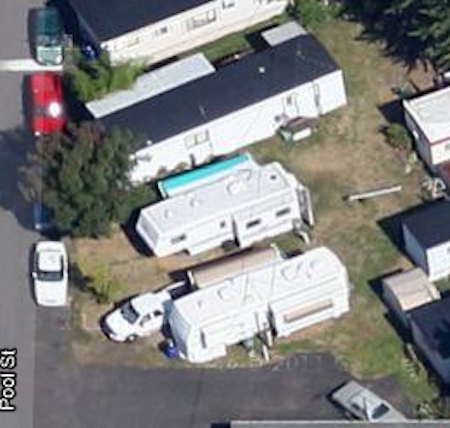 I counted TEN mobile home communities in the heart of Portland. Now, these might be mobile home communities that have certain restrictions on the size of the homes they allow in their park, so I checked the second mobile home on the list, Mobile Estates. 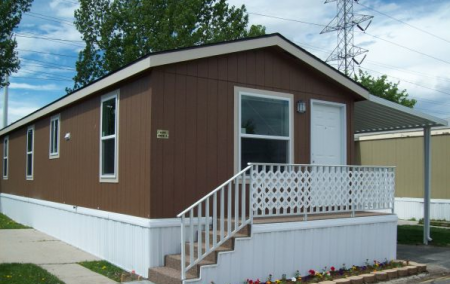 I chose this one because a reviewer on Inside Pages called it, “a scumbag haven.” Of course, another reviewer said, “They have a lot of older mobile homes here. they have been here for a longtime. the park is clean. the people are nice. it is easy to find. stop by and see.” They sound like the kind of park that might be willing to have a tiny house on their property, so I looked at it up close and personal on Google Maps. If they are willing to let a fifth wheel stay there, I’m sure they’d be ecstatic to have a DIY tiny home that looks like a little cabin. Why haven’t the hippies in Portland just JUMPED on this opportunity? Because “scumbags” live there. It’s hard to believe there was a time in my life when I could buy a hamburger for 28 cents, but it’s true. This photograph of the Dee Burger Clown reminded me of it all. 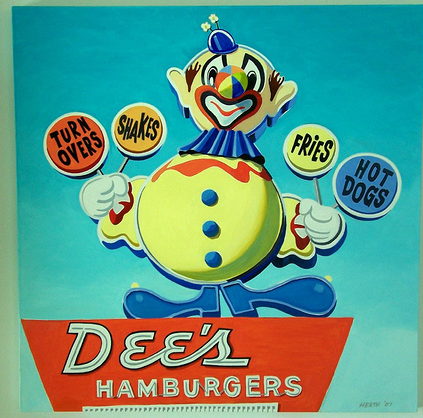 One strange note, The Dee Burger Clown was a two-faced beast. He had a face on both sides of his head and you would think that would have scared me as a child, but it didn’t. All of that was before clowns were scary to me. 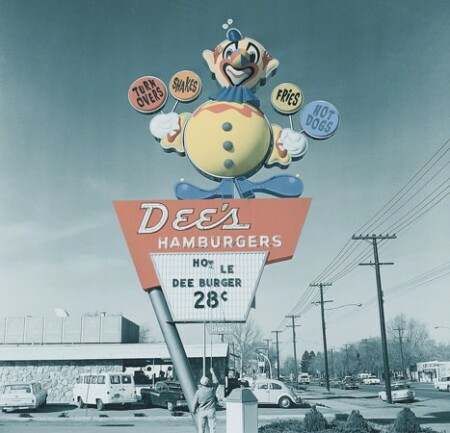 Every once and a while, Dee’s would put their burgers on sale for 28 cents a piece. Whenever that would happen, Carol would buy a couple of bags of their burgers and put them in the freezer. Over the next few weeks, I would have free access to a hamburger whenever I wanted. All I had to do was take one out of the freezer and microwave it. Now, they weren’t delicious by any reckoning and they were rather small (about the size of a McDonald’s kid’s burger), but that didn’t stop me. I could add a slice of cheese and a bit of mayo and they would be a great meal for Stacey and me after school while we waited for Carol and Mom to get home. As far as I can tell, the McDonald’s hamburger is about $1 now. How does that compare to the cost of a Dee Burger Hamburger in 1982? According to the Inflation Calculator, 28 cents in 1982 is the same as 64 cents now. Even today, a hamburger for 64 cents would be an amazingly good deal. Of course, all the Dee’s Burger joints were sold to Hardee’s in the late Eighties, so it might be that those incredibly cheap hamburgers were their death knell. 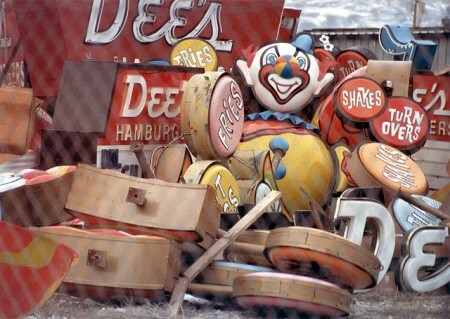 A few years after that, Hardee’s closed all its restaurants in Utah. Some of the sad and vacant buildings were bought by Burger King and the rest have become Berto’s, Alberto’s and Gualberto’s all over the city. 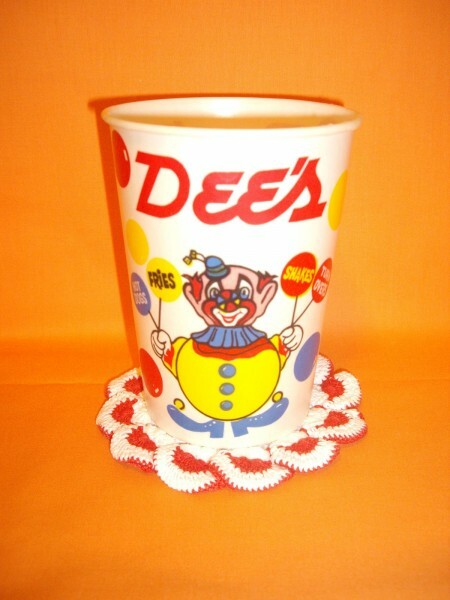 Sadly, I still miss the Hot Ham N’ Cheese sandwich that Hardee’s used to have, but mostly, I miss the happy, Dee Burger Clowns who used to be all over town, with lights shining through their bellies and swaying side to side with their ever-inflated balloons. 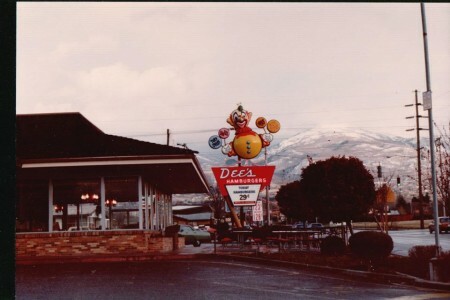 Here’s a photo of the Bountiful Dee Burger Clown from Facebook.